SoftSwiss is a leading developer of online gaming solutions delivering cutting-edge software and games to well-known operators across the globe. The company was founded in 2008 and has seen remarkable growth in the recent years. Besides the unrivalled technology of its online casino platform, SoftSwiss also offers over 40 proprietary casino games under the brand name BGAMING. 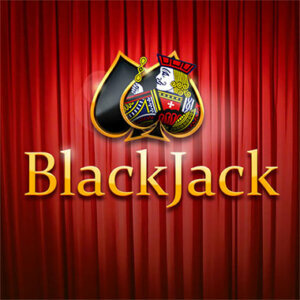 The Full HD HTML5 games include slots, video poker, roulettes and table games. They boast clear design, well thought-through gameplay and math, offering a rewarding gaming experience to players yet staying profitable for the casino operators. The games work smoothly across most platforms and support multiple languages and currencies, with some titles targeting specific geographical markets. The RNG behind BGAMING games is certified by iTechLabs and BMM Testlabs. A pioneer in the cryptocurrency gaming market, SoftSwiss was the first company to adapt its games for Bitcoin play. Not stopping there, SoftSwiss introduced a unique “Provably Fair” verification feature in all its slots, roulettes and card games. This means players have the ability to ensure (with the help of cryptography) that the result of any spin is indeed random and unbiased. The company continues creating trends in Bitcoin gambling which other market players follow. Besides the proprietary games, SoftSwiss also offers more than 2,000 game varieties from over 20 best game providers within its Game Aggregator. By a simple integration with the Aggregator, casino operators get instant access to the world’s best content that can strike the fancy of the most demanding casino players.